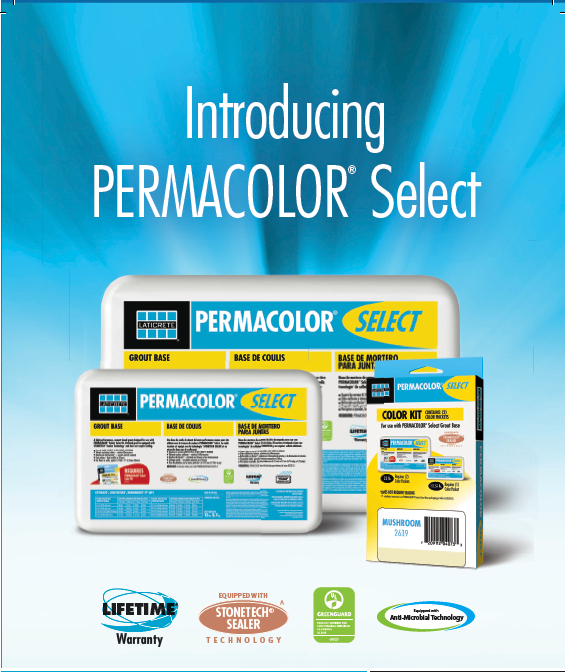 PERMACOLOR® Select is an advanced high performance cement grout that offers the industry’s first dispersible dry pigment solution. 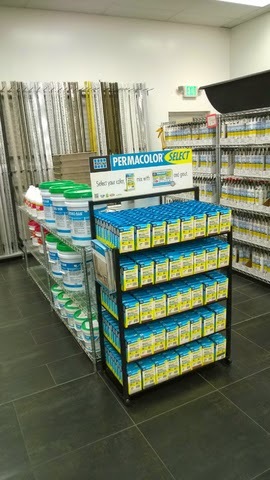 PERMACOLOR Select is designed for virtually all types of residential and commercial installations and offers optimum performance on the most demanding exterior or interior applications. Easy to mix, grout and clean, PERMACOLOR Select is fast setting and is suitable for joints 1.5mm – 12mm wide on floors or walls. Click here for more information and to view an installation video. Keep your eyes and ears open for the official launch in Australia! Can we interest you in a FREE Sample to try out? Want more information? Call your local LATICRETE Technical Sales Rep, 1800 331 012 or contact us here. LATICRETE is committed to protecting the built environment with products that are engineered to be lightweight, low VOC and include post-consumer recycled content. 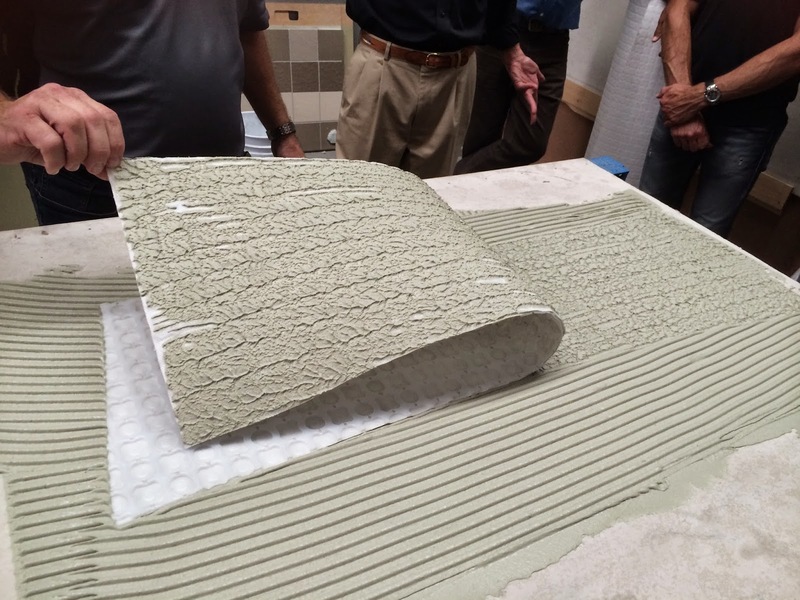 When designing and constructing tile and stone installations on projects that require LEED certification, Eco-friendly products or Sustainable products look no further than LATICRETE. We provide third party independent Certification from Agencies such as GreenGuard. Backed up by a comprehensive system warranty. Reliability, Durability and Sustainability are not just buzz words - they are driving tenets that are the forefront in our product engineering, design, formulation & manufacturing processes. 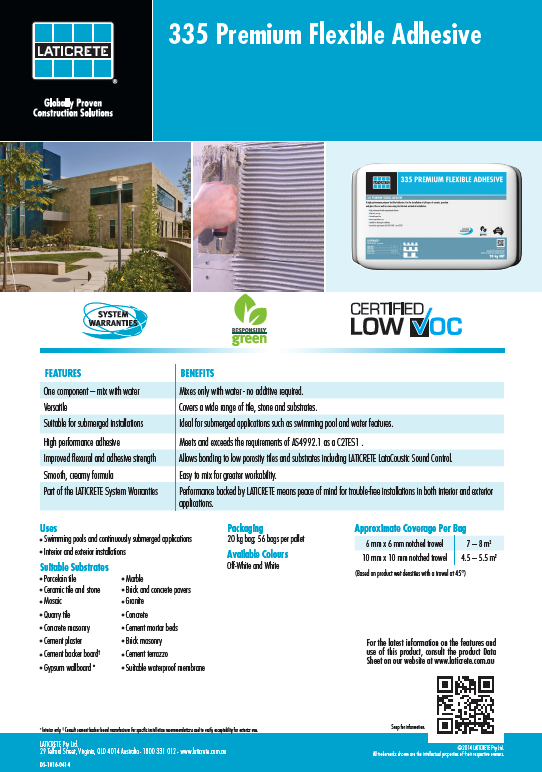 Click here to view our GreenGuard certified low VOC products. Click here to view our Architectural Guidebook project specification assistance. This incredible online tool is designed to quickly and easily generate complete specifications. We offer BIM-compliant, Revit format architectural details in conjunction with our library of standard CAD details). Contact your local LATICRETE Technical Support team on 1800 331 012 or email us here to discuss the tile and stonework on your next project. 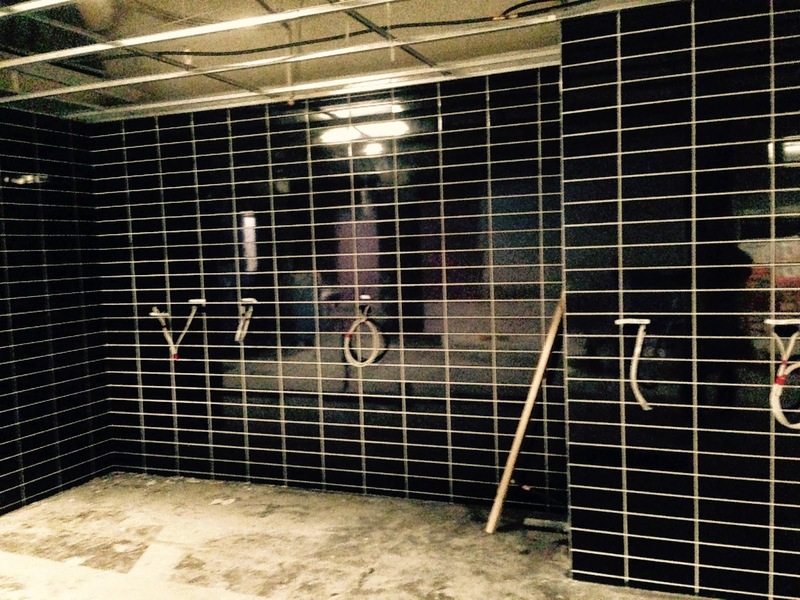 Remember - we provide Project Specific tile and stone installation customised specifications. Click here to view our Library of Tile and Stone Installation Technical Design Manuals. STRATA_MAT is the next generation high performance uncoupling mat for tiled floors. Click here for more product information and to view an installation video. Contact us for more information, arrange a demo, trade event, job site visit or more by calling 1800 331 012 or contact us here. 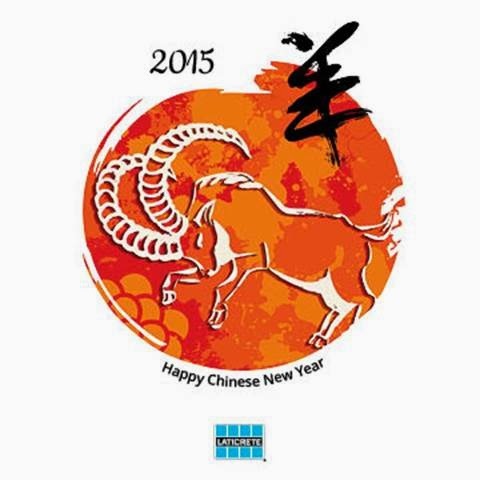 Wishing all our customers, friends and colleagues a Happy Chinese New Year. Technical Support All the Way! 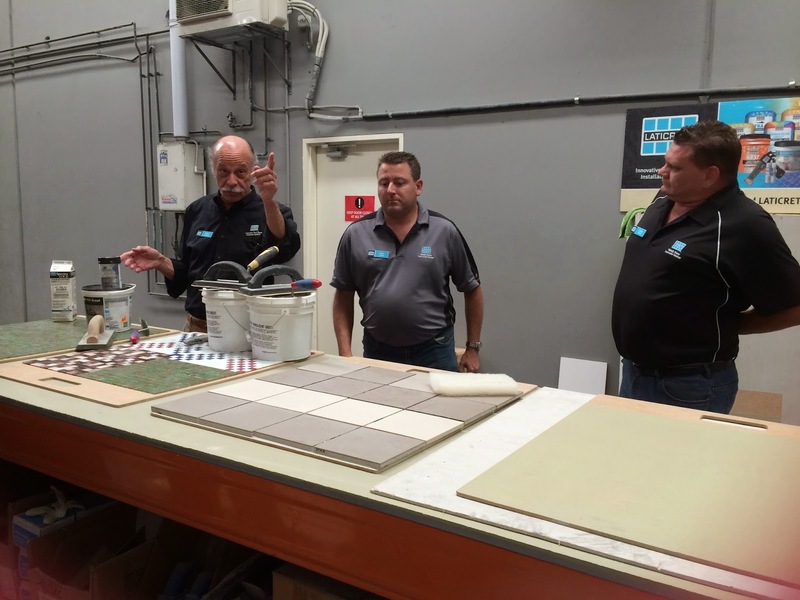 LATICRETE Australia, Technical Service Manager, Fred Gray visits a major tile contractor as pallets of LATICRETE® are prepared for shipment for a major pool project! Proven performance for nearly 60 years of innovation, the LATICRETE commitment to research and development has led the world in innovative ceramic tile and stone installation systems. This technical track record is impressive, but it is our dedication to quality that has always made LATICRETE the professional's choice. LATICRETE field Technical Sales Representatives and Technical Support are available across Australia and around the world. Contact us here or call 1800 331 012 for more assistance! Contact your local LATICRETE Technical Sales Rep by clicking here, or call 1800 331 012. Using the filters or keyword search tools, you can query our extensive database of completed projects that have utilised LATICRETE® products. Click here to go to the Project Reference Database. Tradies Happy for a Reason! The team from Artistic Tiling know the secret! 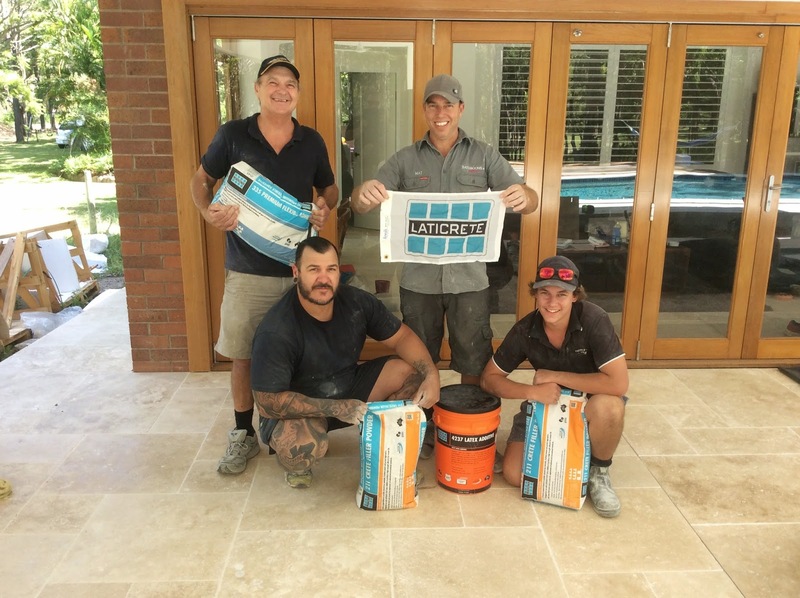 They recently used LATICRETE® products on a residential house in Chandler in QLD. They tiled 200m2 Travertine marble laid in a French pattern. LATICRETE products used on this project: 4237/211 and 335 Premium Flexible Adhesive. So do you want to know what their secret is? When selecting the tile and stone installation system for your project, consider the value and peace of mind that a LATICRETE warranty can bring. LATICRETE provides comprehensive commercial and residential warranty programs. However, our best guarantee is our close to 60 years of experience with industrial, commercial and residential installations in every imaginable climate around the world. Can we interest you in a FREE sample? Contact us and lets discuss your next project! World of Concrete a Hit! LATICRETE International recently exhibited both indoors and outdoors at the 2015 World of Concrete in Las Vegas, NV. Expanding into the adjacent concrete markets, in 2014, LATICRETE acquired L&M Construction Chemicals, a concrete chemicals manufacturer and HP Spartacote®, a polyaspartic coatings systems manufacturer. Inside the Las Vegas Convention Center, LATICRETE exhibited LATICRETE SUPERCAP®, the next generation slab, Drytek LevelEx self-leveling materials, L&M’s concrete chemicals, Spartacote’s polyaspartic coating systems, and Masonry Veneer Installation System (MVIS). Show attendees took in LATICRETE’s expanded product offering and expertise, and were informed of the live demonstrations happening each day outside. Outdoors, LATICRETE product experts demonstrated Supercap, Spartacote polyaspartic coating systems, and L&M’s Durafloor TGA, a rapid setting, decorative polishable overlay wear topping. Crowds drew around the 10’ x 20’ space as the live show opened with the LATICRETE Supercap truck pumping the material into the surface area. The Supercap truck caps uneven slabs to a perfectly flat surface with its pumpable, self-leveling underlayment. It does this at an exceptional rate, able to cover big box retail floors in a single day. John Sacco, LATICRETE Supercap Managing Director, facilitated the pour. Next to the demo was David Schneider, Director of Technical Services at HP Spartacote. Dave performed numerous polyaspartic coating systems installations throughout the 3 day outdoor demo, including Sparta-Chip, Mica Chip, and Alpen Glow Metallic concrete coating systems. These polyaspartic coating systems are perfect for retail, industrial, and commercial applications. World of Concrete attendees really enjoyed Dave’s thorough, authoritative polyaspartic demonstrations. LATICRETE Concrete Expert, Bill Butler was next to present Durafloor TGA. Durafloor TGA gives floor owners a beautiful, durable, highly polished surface that resembles Terrazzo. Bill instructed on the install while Joe from Hudson, WI-based Concrete Arts polished the decorative topping. Onlookers got to see and feel the polished Durafloor TGA and its exceptional flooring qualities. 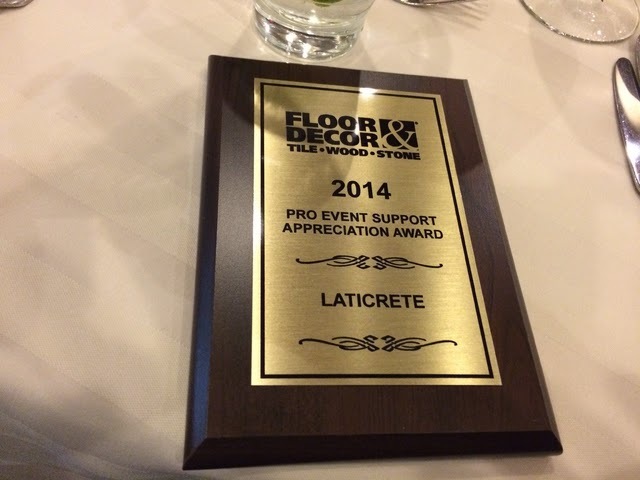 Thank you to all of Team LATICRETE’s expert product facilitators: John Sacco, David Schneider, and Bill Butler for their terrific contribution at the 2015 World of Concrete! For more information about these speciality products, contact us here or call 1800 331 012. Stone and Tile Installation and Care Systems, including surface preparation, waterproofing, sound control, anti-fracture, adhesive, grouts, sealers and cleaners. Masonry Installation and Care Sytems, including paver sand, sealers and cleaners for stone and pavers. View our corporate video to learn more about LATICRETE and our product offerings. Contact us for more information on 1800 331 012 or email us here. We Are On the Hunt !!! Do you have the Passion, Skills, Drive and Commitment ?? 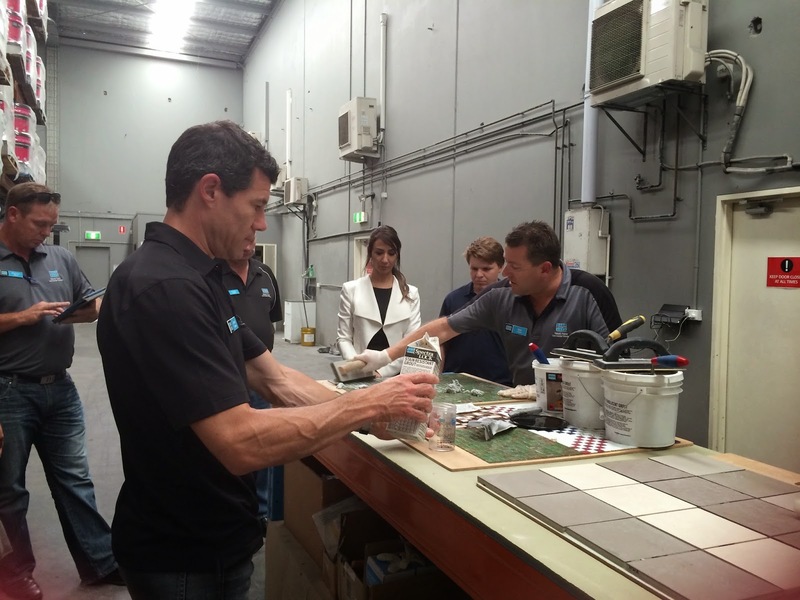 We are on the hunt for a Specialty Products Division Manager at LATICRETE Australia. 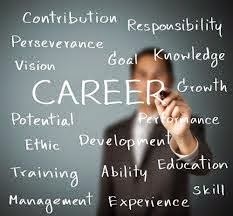 Do you have the skills we require for this position? If yes, click here to view the Job Description. Without question, this grandiose project was no in-and-out pool renovation. “The pools sit 50 meters below sea level,” said Kurt Weber, Sales Representative for LATICRETE International. 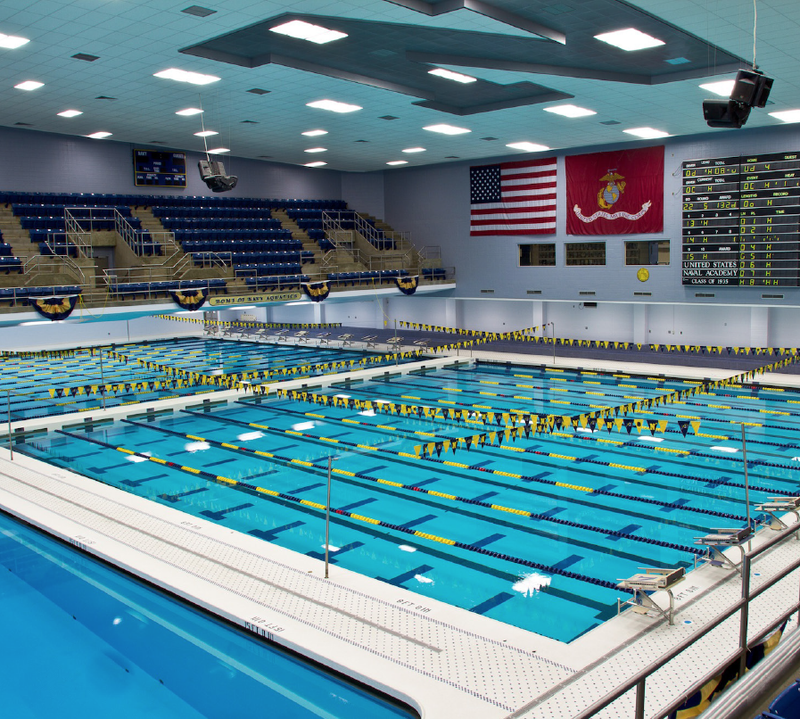 “With the campus located on the Chesapeake Bay, there were plenty of concerns and challenges in keeping water from running off into the pools' foundations while construction took place. There were even days when construction had to be shut down during the Hurricane Sandy period for fear that there could be some residual effects. The pool renovations had to take place within a pre-existing steel structure so everything had to be exact. Typically when building a pool, a key concern is keeping the base and shell completely sealed so that water does not leak out. But in this case, the construction team had to worry about water leaking in. While working below sea level is not a new task for highly-skilled construction and installation specialists, it still cannot be taken lightly as any leak or crack can potentially cause major structural and/or cosmetic problems. 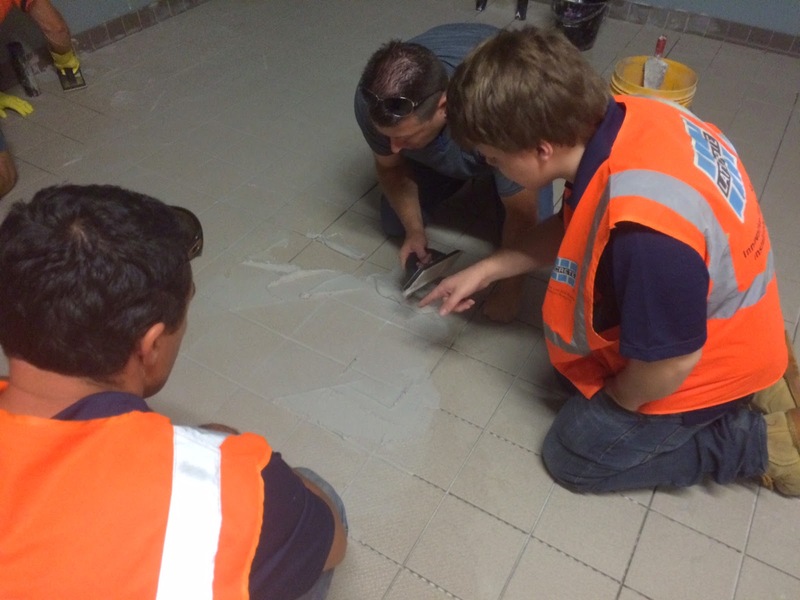 Profast Commercial Flooring was the company in charge of installing all the tiles on the project, and the professionals from that firm found optimal ways to deal with these water issues. 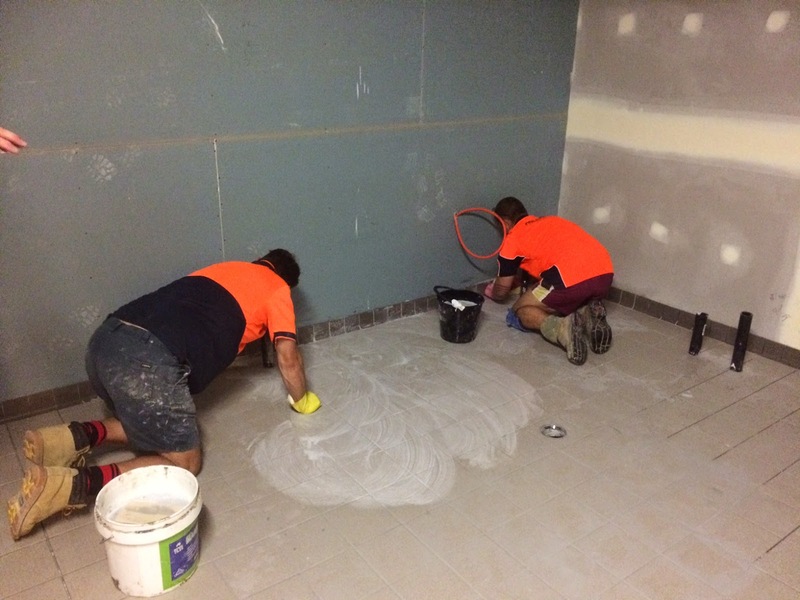 LATICRETE Technical Sales Rep in VIC, Nick Collett, was recently at the job site at the new Woolworths Store in Flinders Street, providing technical support and assistance while SPECTRALOCK® PRO Grout was being used. SPECTRALOCK PRO Grout is designed for use on ceramic tile, glass tile and stone applications, both residential and commercial. It can be used both interior and exterior on floors and walls. Ideal for re-grouting applications, SPECTRALOCK PRO Grout is perfect for swimming pools, fountains and other wet area applications. Click here to view an installation video and for more product info. Can we interest you in a FREE sample? Need a demo? Technical support? Contact us calling 1800 331 012, email us here or go to www.laticrete.com.au for more information. 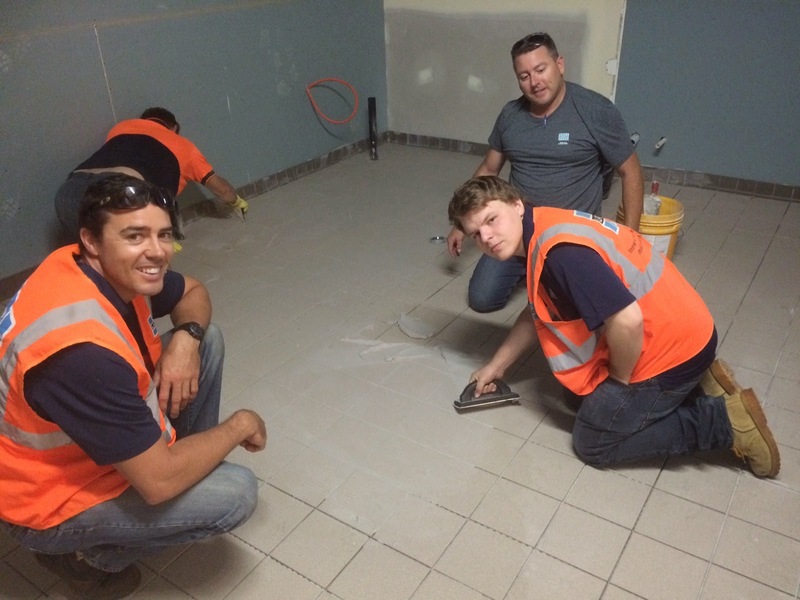 The LATICRETE QLD, Technical Sales Team had a great site visit at The Kazbah Restaurant in Coolangatta, QLD with Mark and his team from Dynamic Ceramic Tiling. 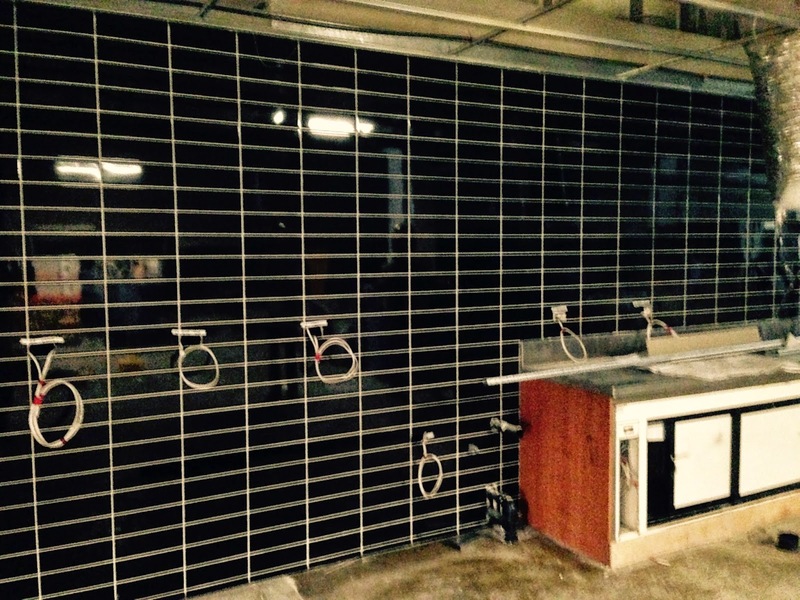 Approximately 190m2 of floor and wall grouting will be done using SPECTRALOCK® 2000 IG. SPECTRALOCK 2000 IG is a 100% solids epoxy industrial grout specifically formulated to provide maximum chemical and stain resistance with exceptional ease of installation. Easy to trowel and clean, SPECTRALOCK 2000 IG offers extended working time and a fast cure for same day installations. Combined with unmatched non-sag performance and up to 39 colour options. SPECTRALOCK 2000 IG provides the best-in-class features and performance in a highly Productive to install product! Click here to view an installation video and more info. Can we interest you in a FREE sample? Contact us on 1800 331 012 to discuss your next project, arrange a demo, a free sample or contact us here. We are constantly working on finding solutions to address evolving and changing job site construction techniques, materials and methods. We are excited to share our new brochure, Rapid Tile and Stone Application Systems. LATICRETE products listed in this brochure are engineered for 'rapid open to traffic' installations of tile and stone. 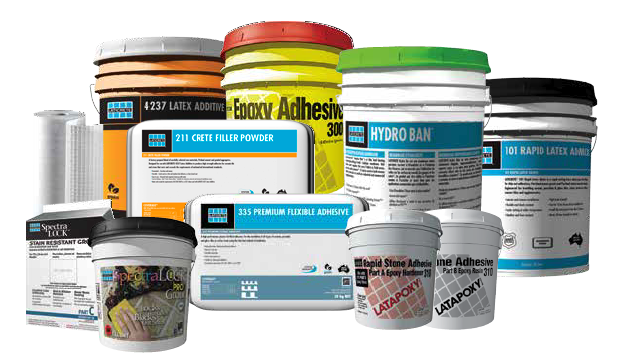 An overview of LATICRETE rapid products is provided to facilitate the selection of appropriate LATICRETE rapid adhesives, mortars and grouts for your specific applications. Projects utilising LATICRETE rapid products can qualify for a comprehensive LATICRETE System Warranty. 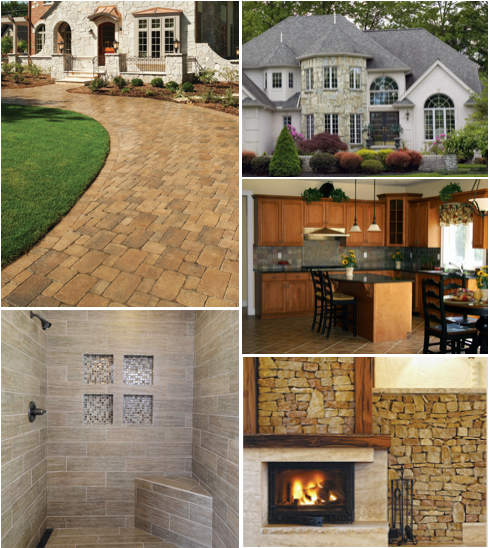 Click here to view/download the Rapid Tile & Stone Application Systems Brochure. Refer to our website for Time vs Temperature installation charts, product application videos, Architectural Specifications, Architectural Details and comprehensive technical support. Contact your local LATICRETE Technical Sales or Architectural Rep on 1800 331 012 or email LATICRETE here. 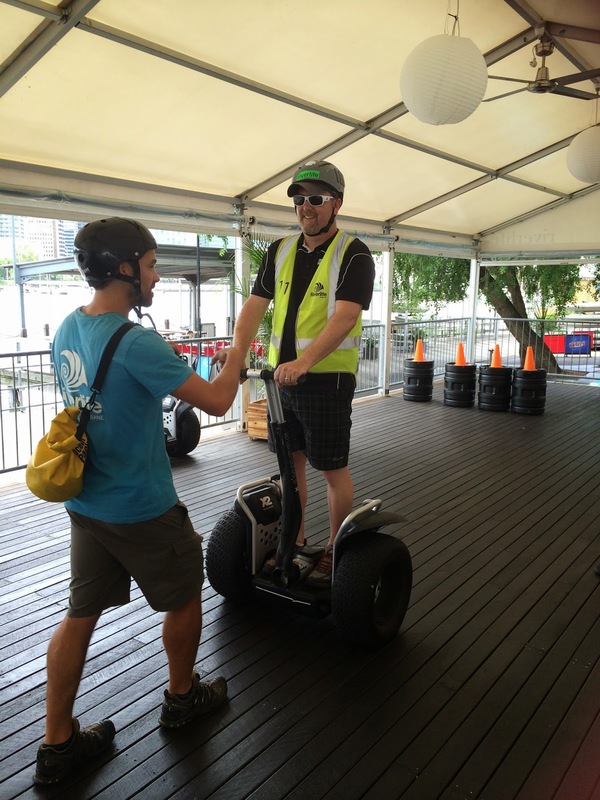 The LATICRETE Australian Feb Sales Meeting kicked off with loads of fun on Segways, followed up with the Awards Evening. The remainder of the National Sales Meeting consisted of full days of strategic meetings on growth, support, marketing and on hands training on LATICRETE products. 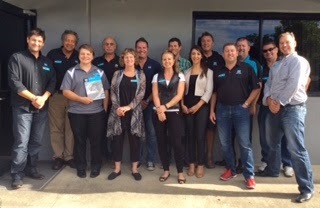 Thank you to our NZ Distributor, Global Tile for attending and sharing in your growth plans with us. Keep your eyes and ears open for our NEW products that will hit the Australian market in the very near future. Want to know more about "StainProof" Grout?! This is an event you don't want to miss out on! Your local LATICRETE Technical Sales Reps, Alex Kralefski and Nick Collett will be at Johnson Tiles on 31st March. 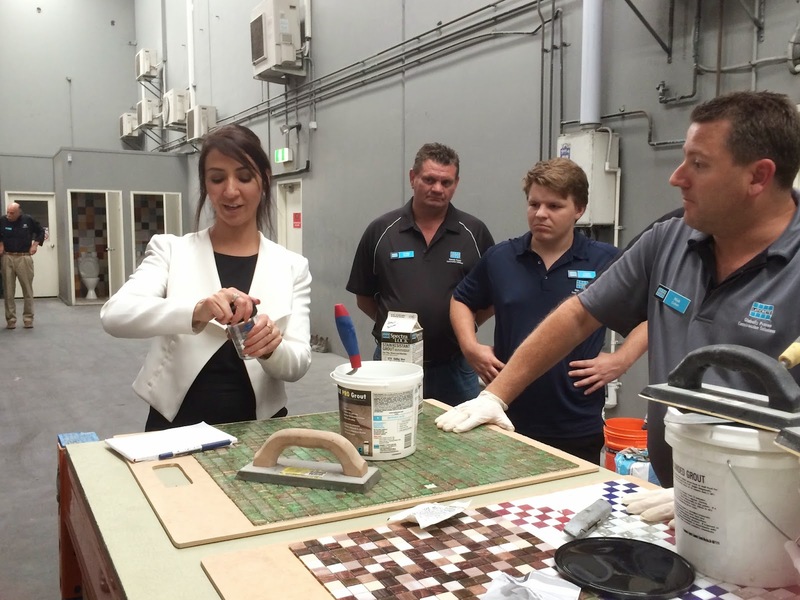 Awesome opportunity to demonstrate with SPECTRALOCK® PRO Grout. Do you want a rebate on your next LATICRETE purchase?! Chat with your LATICRETE Reps on the day! Contact us for more information - Call 1800 331012 or email us here. 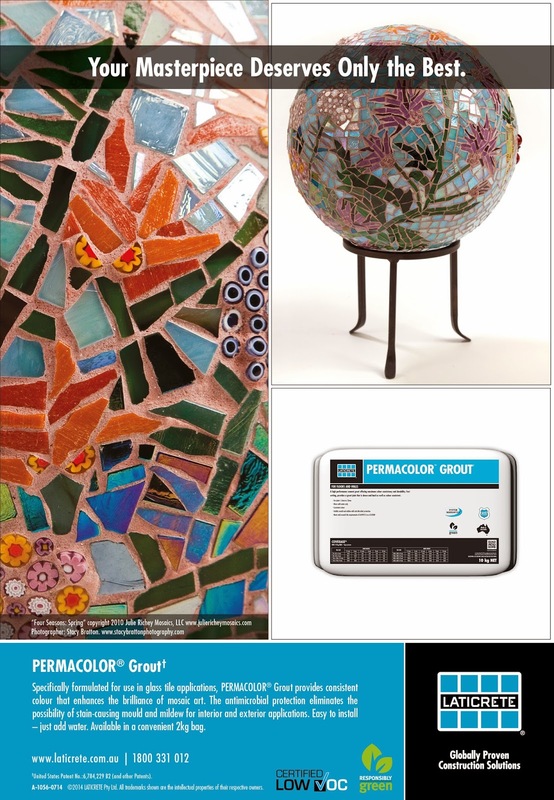 SPECTRALOCK PRO® Grout offers consistent colour that will not fade or crack, SPECTRALOCK PRO Grout provides maximum stain resistance to protect your mosaic art. Choose from 40 vibrant colours with an optional DAZZLE™ component for up to 220 colour options, including metallic and glow-in-the-dark. From underpayments to grouts, LATICRETE offers a system of high-quality, easy to use products that are backed by the best warranties in the industry. 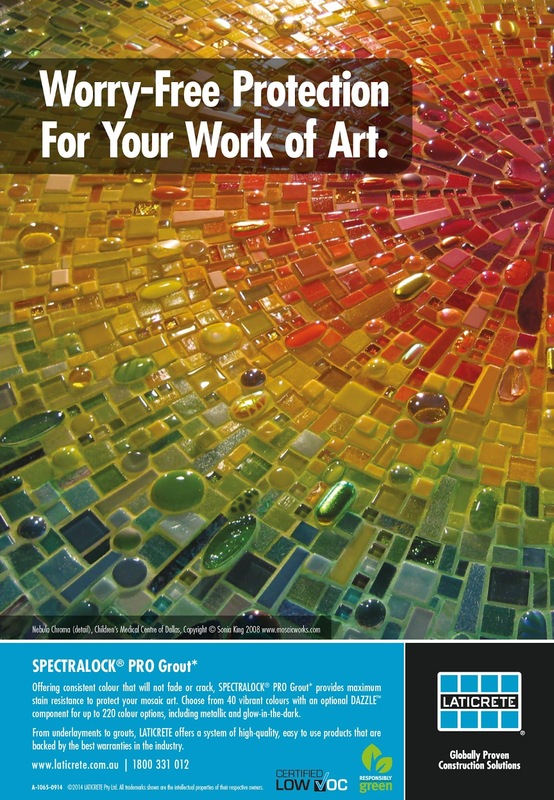 To view an installation video and for more information on SPECTRALOCK PRO Grout click here. Contact us by calling 1800 331 012 or email us here to arrange your FREE samples, a demo or for technical assistance. What a Day, What an Evening! 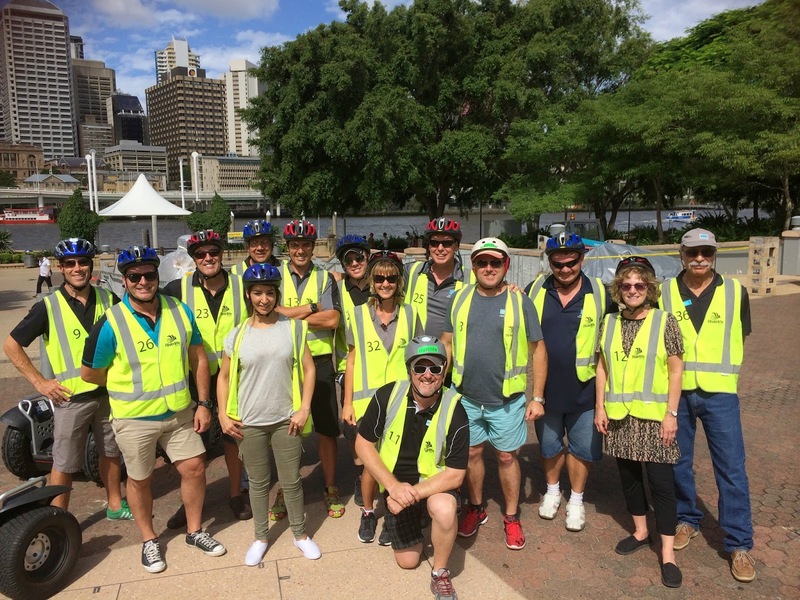 LATICRETE Australia, National Sales Meeting kicked off with an awesome tour around the Brisbane River on Segways - the views were awesome and the laughs continued until the very end. The evening ended on a high at the Awards Dinner where Adam Marks, National Sales Manager presented Nick Collett with the Producers Award for the highest growth in HYDRO BAN® sales across all Australian territories. Well done Nick - an award most deserved! LATICRETE Awards Continue to Roll In! From Ron Nash, Vice President, LATICRETE Int. Sales & Marketing - "What a great way to start our relationship with StoneTech® and Floor & Decor." LATICRETE stockists - click here to view your promo. Contractors - click here to view your promotional offer. Interested in becoming at LATICRETE stockist?! Contact your local LATICRETE Sales Rep for more info. We would love to hear from you.